Disney Frozen - 6pc Nail Polish Set is perfect for the little girl who just wants to add a splash of color to her look! With six different colours to mix and match, your princess will never get bored. 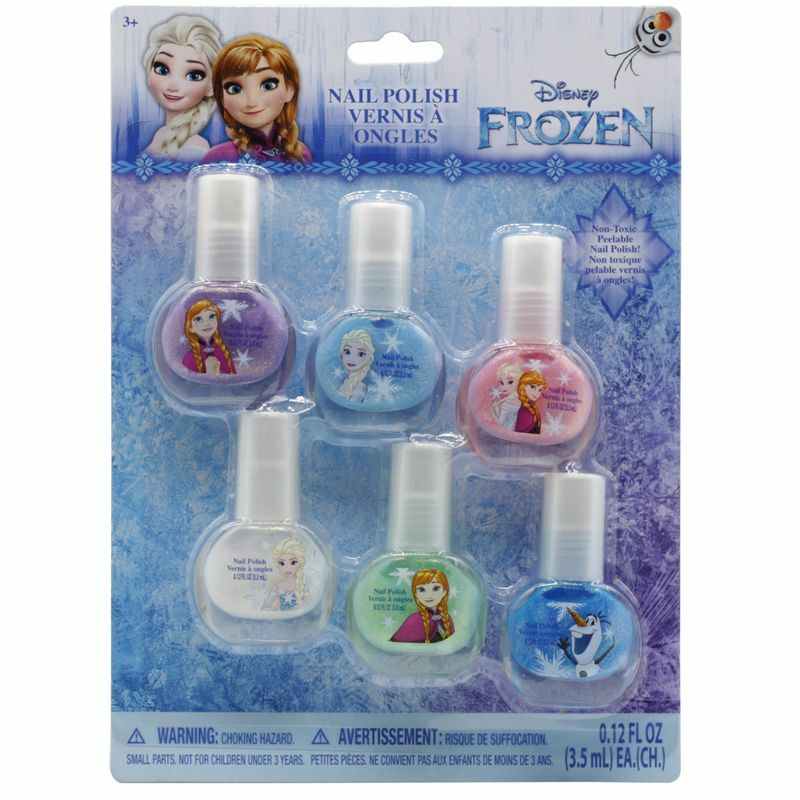 This nail polish set is inspired by her favorite Frozen characters. Bring fun and excitement to your little one's life with exciting Disney character merchandise. The Disney Consumer Product range includes Decor and Accessories, Hand sanitizers, Deodorants, Nail Polishes and many more products in various Walt Disney Characters, all available in attractive packaging that appeal to fans across ages.